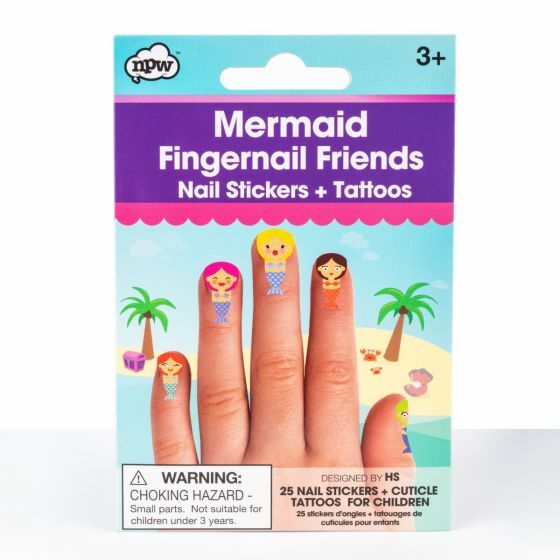 Add a bit of magic to little ones’ fingertips in an instant with this sweet set of 25 press-on stickers and cuticle tattoos featuring mermaids. 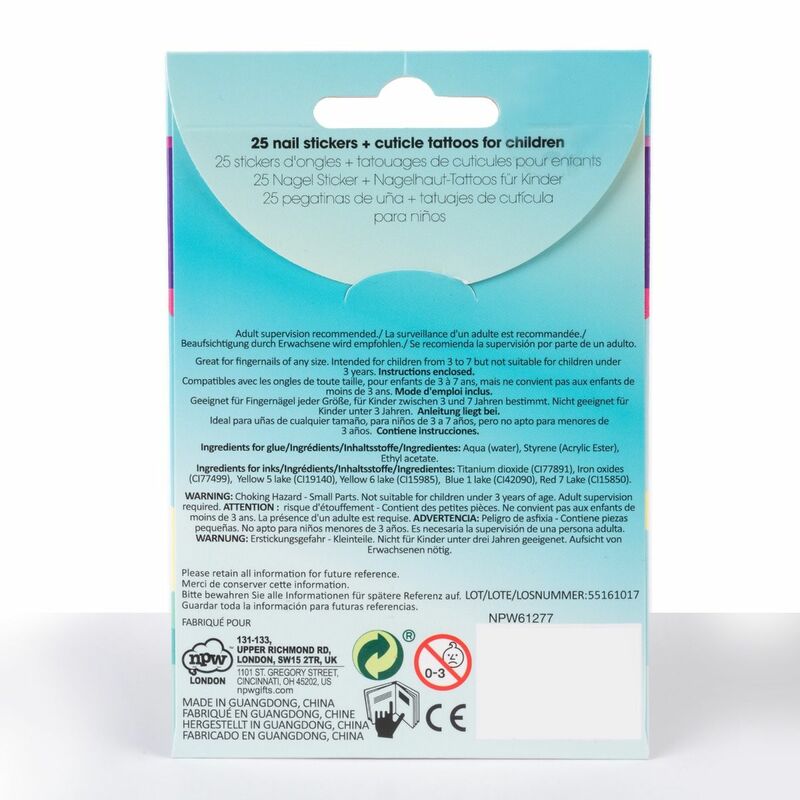 They’re easy to apply and easy to remove! 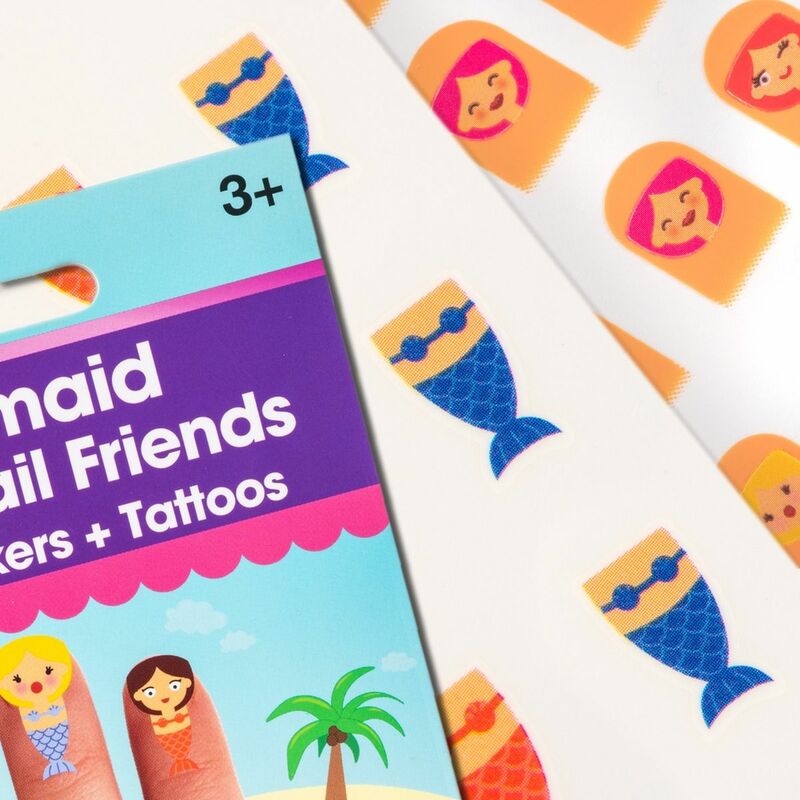 Let little sister join in on the makeover fun with whimsical nail stickers featuring a variety of mermaid designs in different colors, sizes, and styles! These press-on stickers and nail cuticle tattoos designed to dress-up tiny fingernails in a snap don’t require the use of glue or water, making them super kid-friendly and enjoyable to apply! 25-piece set intended for children ages 3-7 but not suitable for children under 3 years. Small parts - potential choking hazard. Adult supervision recommended.